Teal anarkali suit featuring in net. Bodice is done in black velvet embellished in zari embroidery. Hem line is adorn in aari. 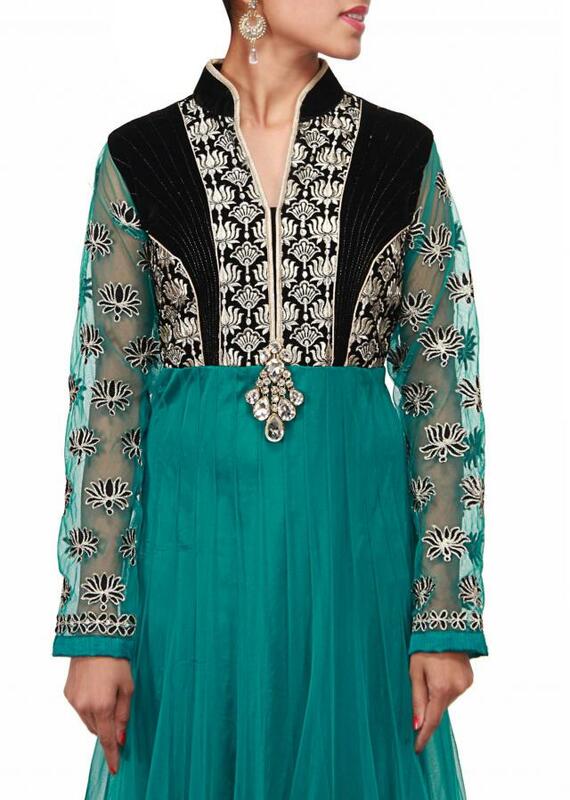 Churidar is in teal lycra and dupatta in teal net.